EDEN PRAIRIE, Minn. — Vincent Jackson’s status is settled.Now, the Minnesota Vikings — and 30 other teams — can decide for certain whether they’re willing to pay the price for the San Diego Chargers’ star receiver.According to multiple reports, the NFL and the players’ union on Thursday reached a settlement that would allow Jackson to play in his new team’s fifth game if he’s traded elsewhere by 3 p.m. Wednesday. Jackson is serving a three-game suspension for violating the NFL’s substance-abuse policy and is on the Chargers’ roster-exempt list, which by rule would require him to sit out an additional three games if and when he signs his restricted tender or a new contract. The union had argued those additional three games shouldn’t carry over to a new team. The settlement in essence split the difference, sidelining Jackson for four games — which if he’s traded to the Vikings would have him eligible to play Oct. 17 against Dallas. With Sidney Rice on the reserve/physically unable to perform list following hip surgery, the Vikings have been rumored to be interested in Jackson for several weeks. However, their interest reportedly has hit a stumbling block at least once. The San Diego Union-Tribune reported on Aug. 24 the Vikings inquired about Jackson and “immediately balked” at his contract demands — which at that point included a five-year, $50 million deal including $30 million guaranteed. Jackson’s asking price apparently came down soon after, with multiple reports indicating he agreed with an unidentified team on a one-year deal worth $7 million plus incentives on Sept. 4. Speculation has centered on the Vikings as that team — nothing has been confirmed either way — but the trade never came together because the Chargers and the other team couldn’t agree on trade terms. 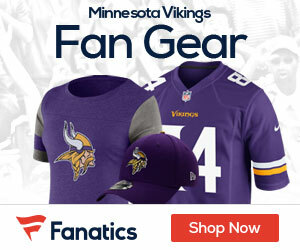 It remains unclear what sort of draft pick and contract the Vikings would willing to offer for a player who in essence could be a 12-game rental. Owner Zygi Wilf has declared the team is “all in” for this season, though, so it wouldn’t be a surprise if he pushes to add what might be considered the missing piece on a talented roster — a big (6-foot-5, 230 pounds) receiver who can contest for balls down the field and breathe life into a scuffling passing game. Jackson would be allowed to report to his new team if he’s traded but couldn’t practice until after the team’s third game or play and be paid until its fifth. An NFL spokesman confirmed Jackson would be permitted to practice during a team’s bye week, meaning he could practice with the Vikings as soon as Sept. 28, though it’s unlikely they’d be on the field until later in the week. There is a significant red flag for character on Jackson, 27, whose suspension stems from two DUI arrests. However, the Vikings have gambled on such a situation once before and won — Jared Allen came to the team under similar circumstances in 2008 and has gone to consecutive Pro Bowls. A second-round draft pick (61st overall) in 2005, Jackson has come on the past two seasons, catching 127 passes for 2,265 yards and 16 touchdowns. He refused to sign his $3.268 million tender as a restricted free agent this summer, and the Chargers subsequently dropped their offer to $600,000. Jackson reportedly is girding to sit out the entire season rather than playing for San Diego without a multiyear deal. According to the Union-Tribune, the Seattle Seahawks, St. Louis Rams and a third team — believed to be the Vikings — have been given permission to discuss contract terms with Jackson’s representatives. I don’t buy this guy. Jared Allen was making a big deal about all the things he had gone through to defeat his alcoholism — could have been just been saying the right things at the time, but it turned out alright — I haven’t heard anything like that from Jackson. He probably plans to drive drunk every day in his new city. There is not a single thing I like about Vinceent Jackson’s character. That said, I would like hime to play for my football team. The fifth game seems far off, but it really isn’t that bad. At first I wanted nothing to do with him, but now I think it would be a good deal. Acquiring him would not only help out this season (because I seriously doubt that Rice will be back after only 6-8 games), but for a few seasons to come. If we got Rice a new contract after this year we would have Jackson, Rice, and Harvin. Berrian could either be traded or be the 4th receiver. And when Bernard Berrian is your 4th receiver, you aren’t doing too bad. The league says he can play AFTER a teams 5th game. The fact that we have an early bye (Week 4) does that factor into the “5th game”? Because if it does, that would mean to me, he wouldn’t be able to suit up for us until the 6th game, right? He can play in the fifth game not after.